In addition to tracking the overall click-through rate of your campaign, we also have a magical feature called "unique link tracking" which allows you to send campaigns just to those subscribers who clicked—or didn't click—your link. Head to the Campaigns section of your dashboard and write your message. Make sure to include a link, then click Shorten URLs. This will wrap your URL in brackets. On your subscribers' phones your links will appear teeny tiny, saving you valuable characters. Here's some more info about our URL shortener. Once you're happy with your message, click Send. Your message is out in the world. Some people are clicking on the link you shared, others aren't. Let's segment your subscriber list based on their behavior. Click Add criteria. Then, select Link from the first drop-down menu. You now have two options: clicked or not clicked. For this example, we'll select clicked. Now select whether your link was sent from a campaign, autoresponder, or keyword. For this example, we'll select campaign. Finally, select the campaign and the link you want to track. 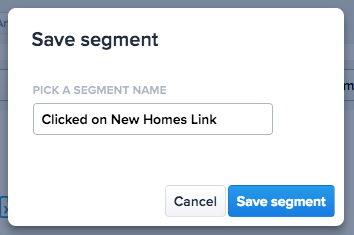 Click Save segment and name your segment. Now you can create a text message that sends automatically to subscribers who clicked on your link. Click Autoresponders from the navigation on the left. Then click New autoresponder. Compose your message and select your new segment from the drop-down menu. 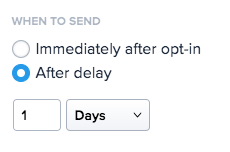 Select an appropriate delay for your message. In this example, subscribers who clicked on the link will receive our autoresponder after one day. That's it! Now just click Save autoresponder. Your campaigns are officially way, way, smarter.